Home to an expansive collection of antique rugs and vintage rugs, Nazmiyal Collection is pleased to announce our exciting rugs on sale opportunities. On this page, you'll find hundreds of marked down beautiful antique rugs, vintage rugs, and Persian carpets priced well below competitor's rates. Some, if not most, of the antique rugs and carpets that are on sale will be priced for less than what comparable new rugs might cost. By buying a rug on sale you will save money but you will also be acquiring a piece that already has value in the marketplace. Whether you prefer traditional Persian carpets, Mid-Century Modern Scandinavian rugs, Art Deco rugs, or any other variety, you're sure to find a remarkably priced rug on sale at Nazmiyal Collection. 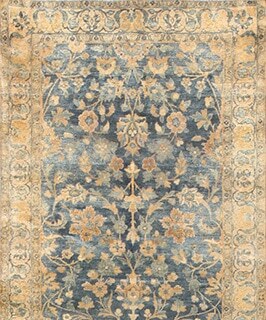 Search our extensive selection of antique rugs today! Technology has changed the way we do everything online. 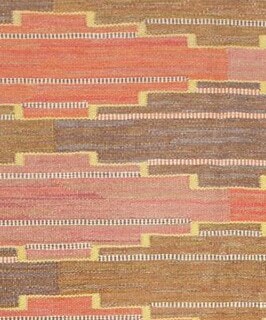 Rugs for sale on the internet have made the rug-buying process fun and have undoubtedly changed the rug industry. 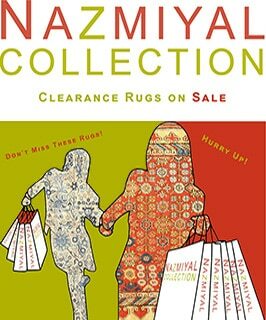 Another way to stay up-to-date on the latest old rugs for sale, events, articles and specials is to sign up for the Nazmiyal community newsletter and periodic email notifications. 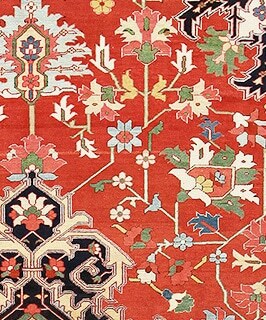 By staying connected or following Nazmiyal on the social networks, shoppers will be among the first to know about new antique rugs on sale and they'll also have access to the best selection of discounted pieces. 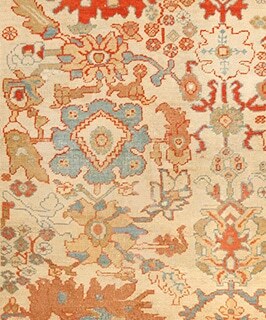 Savvy carpet and rug buyers need to stay informed to find the best rug sales in town. With the right information, shoppers can access an exclusive rug sale without entering coupon codes, passwords or secret login information. Now is a great time to be a shopper. 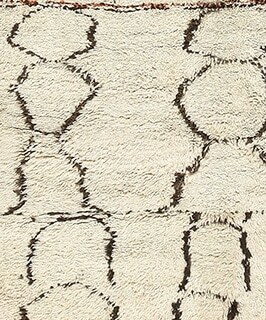 There are more rugs on sales today, and they are easier to find. 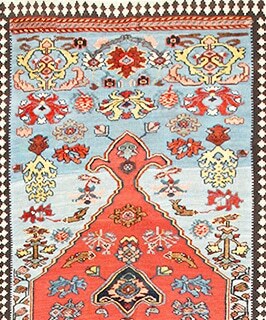 Collectors on both coasts and around the globe can participate in an online rug sale. 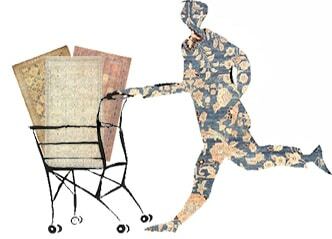 So what do smart buyers need to know to take advantage of great deals on carpets? Just this: shoppers can visit Nazmiyal's sale section at any time. To stay in the know and be the first to hear about the latest rug sale, join Nazmiyal's exclusive customer community today. look At All The Beautiful Rugs On Sale!! Our antique carpets on sale collection can help you find rugs to match your desired home decor and at a more affordable and reduced price point. You can find rugs in all styles and sizes here, available for both domestic and commercial applications. Ranging in variety from Turkish to Persian to Scandinavian, these rugs showcases everything from traditional to modern designs. More emphasis is placed on form and appearance, resulting in more complicated variations on traditional designs. 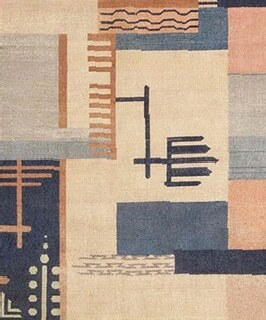 The inspiration for each rug is different, chosen to exemplify the best design elements that the culture has to offer. Though relatively specialized in theme, the presence of these rugs can be welcome in all types of environments, even contemporary ones. Because of the versatile nature of such rugs, they are particularly recommended as neutral and functional pieces in professional environments. They can stand out well in a conference room or unify the area in a waiting room. The familiar shapes and lines on these pieces can also help lead the viewer's eyes to other elements in the room. For even more beautiful and decorative antique carpets available in all sizes, you can browse through our entire rug collection.